Defying Poverty with Bicycles: Do We Need a Third Bike Industry? Even the most casual observer will recognize two distinct bike industries: one enticing with the latest and greatest, the other enticing with the lowest prices. The first is the one I featured in my December post, Planned Obsolescence in the Bike Industry. This is the bike industry that has most blatantly forgotten people who live in or near poverty. Their obsession with high-tech, high-priced, fragile, disposable bikes and parts has segregated bicycling from the vast majority of the world’s inhabitants. The other bike industry does not consider itself a bike industry. These mass merchants make and sell appliances, yard equipment, plastic swimming pools, exercise equipment, electronics and toys right alongside their bikes. 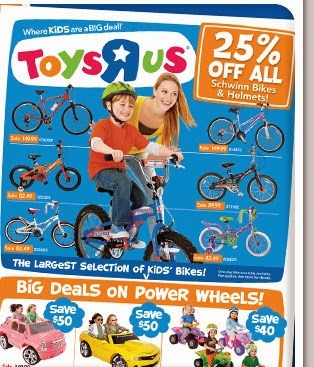 In fact, if you want to find a bike in one of their stores, check the toy aisle. Their bikes and parts are just as fragile and disposable as those from the other bike industry. The main difference, besides missing those few months of noteworthy performance before they break, is the price. While I have to say this second, mass merchant bike industry does indeed recognize low-income patrons as their main customers, all they care about is wresting those few dollars from their wallets. Providing bicycles and parts designed for their needs isn’t part of their equation. When I first began discussing Social Bike Business with our founding board, we assumed that every element would eventually become part of the first bike industry I describe above. Social bike shops would simply be another sort of niche shop along with those serving road racers or mountain bikers or triathletes. Social bike business career training programs would welcome those aspiring to serve high-end riders right along with those wanting to serve their low-income neighbors. The bikes and parts designed and manufactured through the program would be sold alongside the fragile jewelry-like parts in wholesale catalogs and bike shops. I’m still holding out for this vision. Our Bike Shift Lever will hopefully be the first of many such bike parts to find its place in these channels. Even so, as I watch this first bike industry veer even farther into elitism I have to wonder if a third bike industry is needed or would even work. A social bike industry focused entirely on the needs of impoverished customers would require its own channels just as the other two bike industries have created for their products. At first this seems a gargantuan task until we look at other socially designed productions such as for irrigation, medical supplies, wheelchairs and drinking water. Even some of the social bike programs in place have created their own supply channels already, out of necessity. Connecting a few dots with like-minded partners would result in local manufacturing and supply channels that would reach most areas of the world. What are your thoughts on this issue? Should we give up on our wayward bike industry and focus on partners who truly want to serve the 80% of the world’s population living in or near poverty? Is our time better spent working with people who already have these ideals or trying to convince those in the established bike industry to add this new customer base along with products that serve their needs? In other words, do we need a third bike industry? There may well already be a third bike industry burgeoning: the co-op. These are in many cities and provide great services and low cost bicycles. From Community Cycles of Boulder Colo., "non-profit organization of bicycle enthusiasts whose mission is to educate and advocate for the safe use of bicycles as an affordable, viable and sustainable means of transportation and personal enjoyment within our community. CC provides re-cycled bikes and a welcoming space to learn about bicycle repair, maintenance and operation through outreach and advocacy activities." Exactly! Thanks David. Even as smaller, volunteer-run co-ops get started, they are filling this gap. Our greatest goal for Social Bike Business is to help guide any program with this mindset into a sustainable form. Co-ops are often the proving ground that lead to sustainable programs. Community Cycles is one such example.